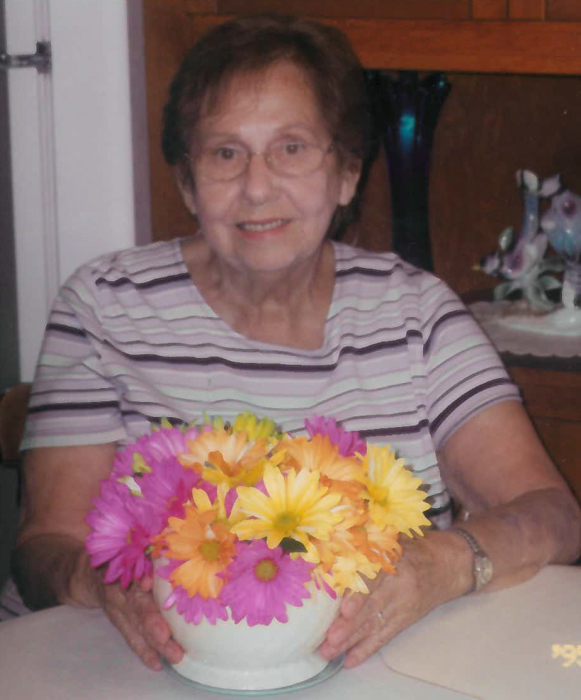 Arlene Beverly Mortensen, 87, of Pengilly, was brought home to her Savior on May 20, 2018, after a long illness. She had been staying at Heritage Manor in Chisholm. The family thanks Amy and the entire staff for their compassionate care. Arlene was born Sept. 14, 1931, to Oscar and Isabelle Rude in Marshall, Minn. She also lived in Newfolden, Minn., Thief River Falls, Minn., and Bemidji, Minn. On Dec. 18, 1948, she married her husband of 68 years, Vern Mortensen, by whom she will be dearly missed. Arlene has left us for a better place, but her memory will live on in our hearts. She was a loving wife, mother, grandmother and friend. She is survived by her husband, Vern; daughter, Cynthia (Dean) Thiem of Oak Harbor, Wash.; son, Todd (Julie) Mortensen of Pengilly; brother, Richie Rude of Bemidji, Minn.; four granddaughters; two great-grandsons; and many nieces and nephews. She was preceded in death by her parents and a brother, Marvin Rude. Services: In lieu of a funeral, a memorial and celebration of Arlene’s life will be held from 1 to 4 p.m. July 21, at Abundant Life Church in Pengilly.